The same story is repeated in Sweden. Rental service Airbnb – which provides private rooms and apartments for guests all over the world – has problems with discrimination. Tim Davis from New York tried to book an apartment through the service in Stockholm last summer, but was denied by the 15 hosts. He believes that it has something to do with that he is black. “I sent out 15 different requests and they all said no, but I also noted that the dates were still on the site”, said Tim Davis from New York. In the US, this issue has received much attention this year, partly due to a scientific study by Harvard University showed that it is easier to get rental accommodations through Airbnb, if you have a name that is common among white Americans than if you have a name that is common among African Americans. But we wanted to know if this is also a problem in Sweden and made our own small survey where we borrowed several black and white people’s Airbnb accounts. With the help of the black persons’ accounts, we asked 200 Airbnb hosts in Stockholm, Gothenburg and Malmö about their places were vacant on specific dates. More than half of the respondents said yes. But when we asked those who had said no again from an account that belongs to one of the white test subjects, nearly one in three hosts said instead that the apartment was vacant. “No sorry, friends are coming to visit”. – As anti-discrimination law stands today, it is values that are responsible for it. ……. ……. 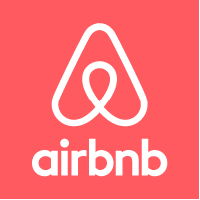 Airbnb declined to participate in an interview …… but says that discrimination is unacceptable and that it will take action if guests report that they encountered discrimination. Discriminate is what homo sapiens do. To discriminate is the automatic consequence of thought. This kind of discrimination may be “deplorable” but I am not sure that forcing people – by legal coercion – to disregard or abandon their own values is not equally deplorable. You may not agree with someone’s values but to force them to adopt yours is either oppression of the individual or it is brainwashing. This entry was posted on October 3, 2016 at 9:18 am and is filed under Behaviour, Ethics. You can follow any responses to this entry through the RSS 2.0 feed. Both comments and pings are currently closed.